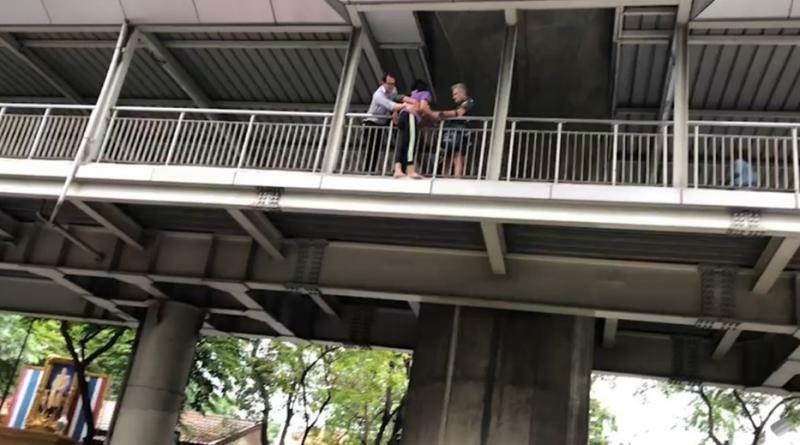 TWO men, an Australian and a Thai, managed to stop a woman stressed out about being evicted from her room for not paying rent from jumping from the skywalk in front of the Royal Thai Police headquarters last evening (May 15), Thai News Agency reported. This unidentified woman later said that she is distressed at being evicted from her room In Rama 2 road area for not paying rent for 3 months. She added that she had asked many government offices to help, but they turned her down. 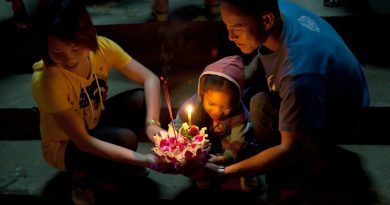 She had also asked the police twice to loan her 50,000 baht which she would later repay, but they had refused. 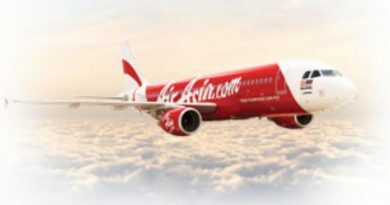 The Australian man said he noticed that this woman did not seem to be behaving normally and had moved to a dangerous area, so immediately rushed to help her. 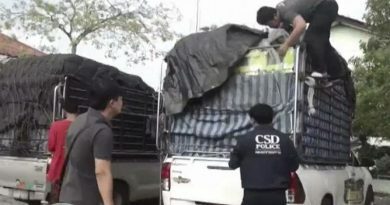 Meanwhile Pol Lt Col Kheamphat Suwanchinda, a chief inspector at Special Branch Police zone 3, confirmed that this woman had twice appealed to police for help, with the details of this case to be sent to National Police Chief Pol.Gen. Chakthip Chaijinda. Short supply of banana leaves for Loy Krathong!